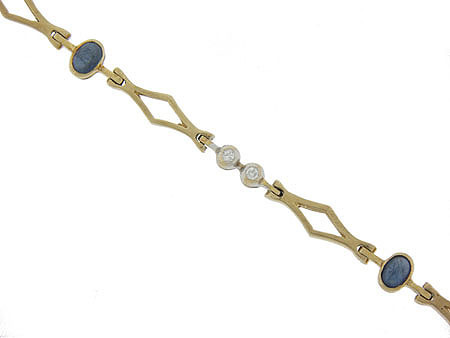 A trio of cabochon sapphires and pairs of fine faceted diamonds adorn the face of this 14K yellow gold vintage bracelet. The oval sapphires and diamonds are bezel set and stretch between the elongated diamond shaped links. 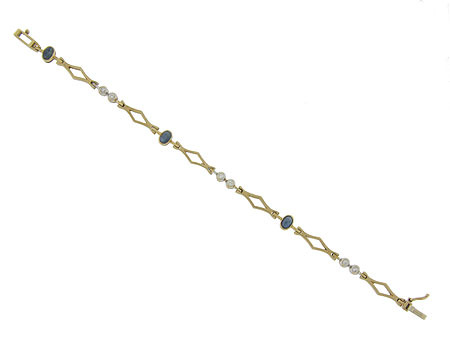 The Retro Modern bracelet measures 6 1/2" in length, 1/4" wide. Circa: 1940.